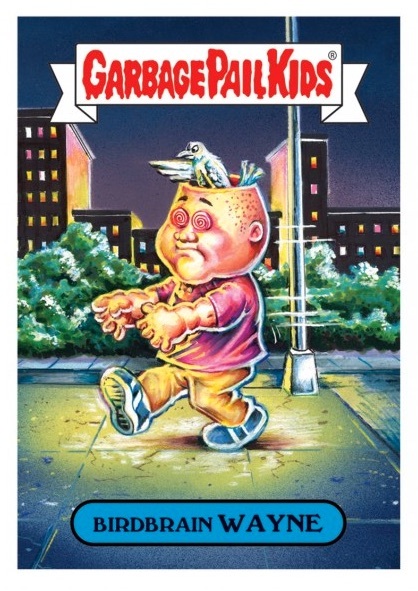 In honor of Jay Lynch, a prominent cartoon artist for Garbage Pail Kids and Wacky Packages sets, as well as a writer for Bazooka Joe comics and Mad magazine, the 2017 Topps Jay Lynch GPK Wacky Packages Tribute Set aims to celebrate his former work and help raise money for his medical expenses. 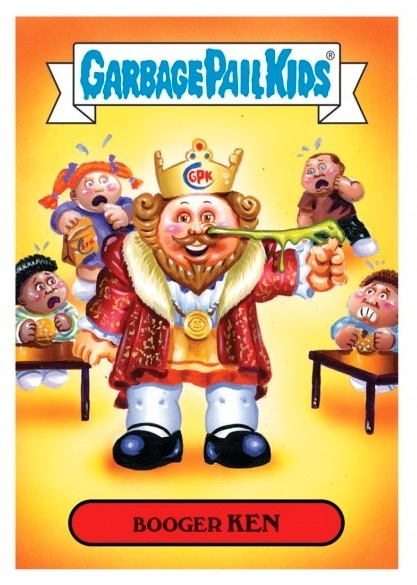 The 2017 Topps Jay Lynch Tribute Set highlights both Garbage Pail Kids and Wacky Packages jokes from Lynch that have been repainted by other well-known artists from Topps. 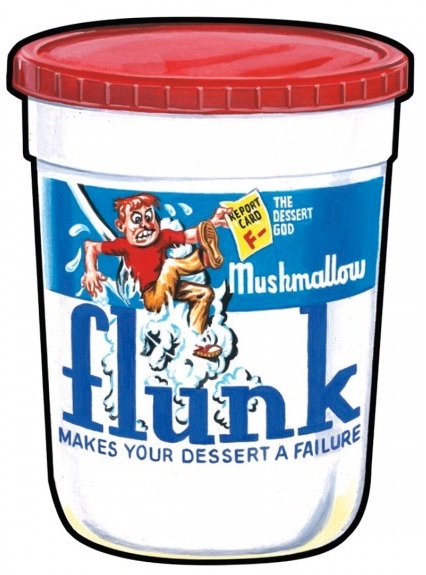 The result is an 11-card set split between the two parody brands. The set is exclusively available on the Topps Website with a selling period of 28 days, ending on March 15, 2017. The humorous set sells for $64.99 with free Smart Post shipping. All profits go to helping Lynch with his healthcare bills. 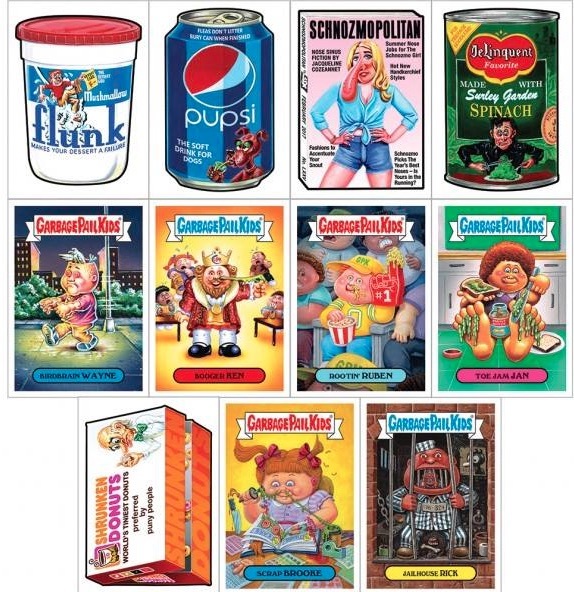 The full 2017 Topps Jay Lynch GPK Wacky Packages Tribute Set checklist is provided below along with the artist responsible for each sticker card. 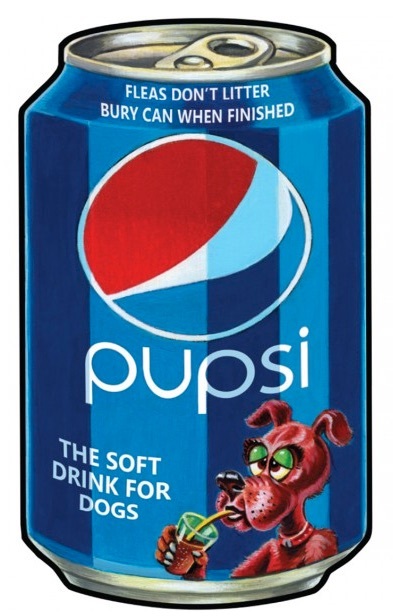 Did you ever see what the print run was for this set? Or if the money raised still went to get his affairs in order? Adam: No word on either.